Is anyone going to London by car some time between 19 Dec and 3 Jan and has 2 spaces left? Or from London to Bangor, any direction would help. Help in seeking information on Universities. Biotechnology Offer Holders 2016 - Where and When did you apply? 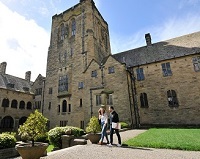 Have you got any questions about Bangor University? Want to know more?